Has Google been listening to us via Chrome? Google has angered privacy campaigners and open source developers after claims surfaced that it has secretly installed eavesdropping software inside one of its most popular programs. The developers behind the Chromium browser have reportedly found audio-snooping code inside Chrome that is able to listen to users, a function that was remotely installed by the company behind the browser, Google, according to the Guardian. 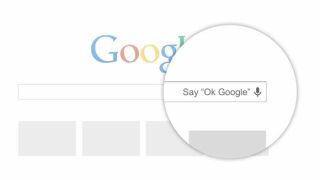 Designed to support the "OK, Google" feature that has recently been rolled out to Chrome, the feature was automatically turned on without the user's permission. Google has since denied that this is the case. "While we do download the hotword module on startup, we do not activate it unless you opt in to hotwording," according to a post by Google on its developer boards. The crux of the issue surrounds the open-source version of Chrome, Chromium. Campaigners are unhappy at the fact that the listening code has been installed as part of Chromium despite it being considered "black box," not a part of the open source audit process. "We don't know and can't know what this black box does," said Rick Falkvinge, founder of the Pirate party. Google later clarified that Chromium "is not a Google product" and that it doesn't "make any guarantees with respect to compliance with various open source policies." Google also leveled some blame at Linux distribution Debian's door for automatically providing the non open source component with Chromium.